Ford Motor Co. on Thursday said it was recalling nearly 1.5 million Focus vehicles in North America over a malfunctioning canister purge valve. The recall affects Focuses manufactured from 2012 to 2018 that are equipped with either a 2.0-liter GDI or GTDI engine. The canister purge valve can become stuck in an open position, according to the Detroit automaker, causing the vehicle's plastic fuel tank to become deformed. A driver may see a malfunction indicator light turn on or a fuel gauge with fluctuating or inaccurate fuel levels. 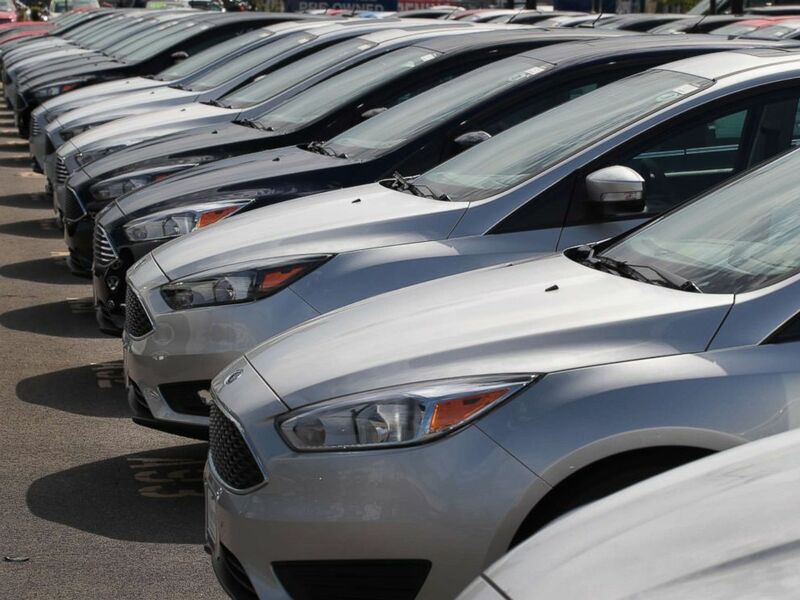 Ford Focus compact cars for sale at a dealership in Chicago, June 20, 2017. The malfunction could stop the car from restarting or lead it to stall while in motion, Ford said. The company said it was not aware of any accidents, injuries or fires as a result of the defect. Ford recommends that Focus owners maintain at least half a tank of fuel until the recall is complete. Dealers will inspect and replace the canister purge valves at no charge, Ford said. A list of all Ford 2018 recalls can be found here. On Wednesday, Ford reported third-quarter revenue of $34.66 billion, up 3 percent from the prior year. Total revenue was $37.6 billion.